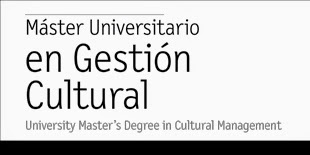 Máster Universitario en Gestión Cultural - UIC - MA in Arts and Cultural Management: Our student Yosia Revie Pongoh: "For me, as long as music expresses the natural beauty, the majesty of the divine, human feelings, and other good things, then it deserves to be appreciated"
Our student Yosia Revie Pongoh: "For me, as long as music expresses the natural beauty, the majesty of the divine, human feelings, and other good things, then it deserves to be appreciated"
We introduce you to our student Yosia Revie Pongoh from Indonesia. We could say that Revie has always been linked to music and today he is already a professional in this sector in his country. He studied in the Conservatory of Music at the Pelita Harapan University in the city of Tangerang, near Jakarta, the capital of Indonesia. In this university he specialized in percussion and after graduating he has been part of various orchestras in his country. He also worked as a musical director, bandleader and producer. In this interview, Revie talks about his musical experience and gives us his views on the trends and challenges that this industry will face in the future. Question. Revie, could you talk to us about your previous experience in the music industry before starting the Master's Degree in Arts and Cultural Management at the UIC Barcelona? Reply. I worked as a professional in the music industry since 2001. 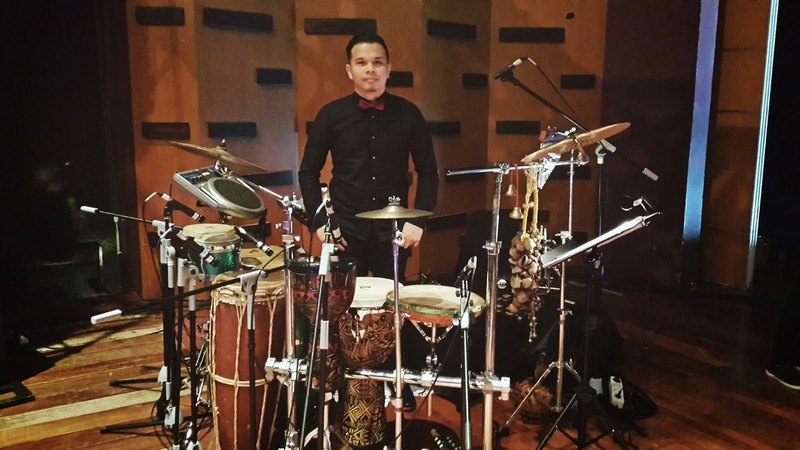 I played with several renowned orchestras in Indonesia as a percussionist. I worked in various musical contexts, ranging from classical symphony orchestras, studio work, plays for theatre, musicals, TV shows, performed at music festivals, toured with artists, etc. I also produced some music for audiovisual projects. Besides playing music I also teach music at the conservatory since 2006. My musical journey brought me to meet a lot of musicians from different musical backgrounds and different cultures. I met a lot of young people who are very talented. In 2012 I had a vision, that was to bring these talented young musicians to the music industry scene in Indonesia. Therefore one friend and myself established a talent management company with the purpose of becoming the bridge between Indonesian young people who are talented in music and the public. Since that time my interest in the arts management increased, so then I decided to continue my education with a master's degree in arts management here in UIC Barcelona. Q. Among the many and varied projects related to music in which you have participated, could you talk to us about the project that proved to be the most interesting? R. What interests me the most is the musical theatre. Because every time I played in the musical theatre, I was challenged to give a strong meaning to the story through the music I played. Also, musical theatre involved many elements of art, such as dancing, acting, singing, music, and other artistic aspects such as the stage, scenography, visual, and lighting art. One of the most memorable projects in my musical career was two years ago when I was involved in a musical show in Jakarta, that is called Ariah Musical. This project was very interesting because it combines traditional and modern elements. I had to play in two different contexts of music at the same time, and for this show we even created a different set of musical equipment which combines Eastern and Western instruments. Q. Indonesia is thousands of kilometers away from Spain. Why did you decide to do a Master's Degree in Arts and Cultural Management in Europe and specifically in Barcelona? R. I decided to study here because in my opinion, if you want to learn about art, the city where you study should be surrounded by many art institutions and art activities. For this reason, Bercelona is the perfect place for me. Moreover UIC has also facilitated us to meet with many experts from different art institutions in Barcelona. This is consistent with what I need in order to develop my career in the future. Q. Only a month ago the UIC Barcelona held the First Conference on The arts sector: current status and future trends. Music, theater and audiovisual sector, where recognised Spanish professionals participated. From your position as a professional in the music industry in Indonesia and specifically in Jakarta, which has almost 10 million inhabitants, could you tell us what is the current situation in the music industry in your country and which do you think are the challenges to be faced in the future? R. Since we live in the same digital era, the music industry in Indonesia faces the same challenges as faced in Europe, United States and other parts of the world. “Ownership” of music is now turned into the “accessibility” due to the increasing use of the Internet, now people no longer buy physical work such as a CD or DVD. The issue of piracy and illegal downloading also is still being problematic in the Indonesian music industry. But apart from these global issues, live performance art in Indonesia is growing well, it can be seen through the increasing number of art infrastructures in Indonesia. In the last few years the Indonesian government gave more attention to the performing arts through subsidies for infrastructure development and also to the development of human resources. Private parties are also increasingly attracted to finance music projects. Public appreciation of music is getting better. 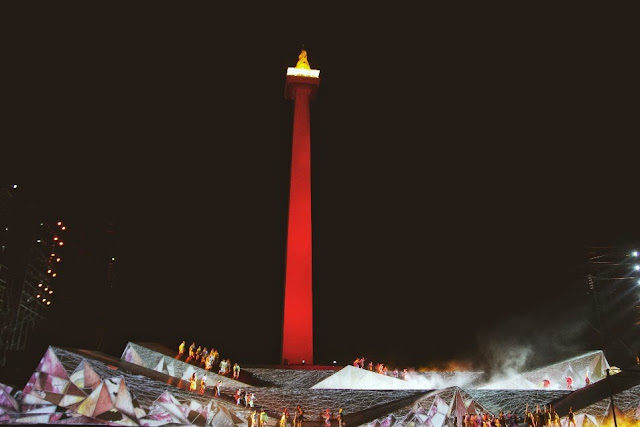 Indonesian society is very open to music (both local and international music), and many international music festivals are successfully held in Indonesia. With a huge population (over 250 million), I have no doubt that Indonesia has so many talented people in the arts and music in particular, but one of the challenges in the future is the need for arts managers who are capable to manage these talented people. In this case I found a correlation between my studies here with current situation of the music industry in Indonesia. Q. And finally, Revie, a double question. The first, is what piece of music would you recommend to our readers and why? And second, what would you say to those who are thinking about studying the Master's Degree in Arts and Cultural Management at the UIC Barcelona next year? R. It is very difficult for me to recommend a piece of music for the readers, because it will be very subjective, and I’m not sure they will like it, because I believe that everyone has different interests in music, it depends on the cultural background of the place where they grew up. I grew up with the cultural background of Eastern music but I studied Western music as well, therefore I listen to various styles of music ranging from classical symphony, folk music, traditional music, jazz music, even to electronic music. I am grateful because my ears and my artistic sense could accept wide range of musical styles. For me, as long as the music is created for a good purpose, expresses the natural beauty, the majesty of the divine, human feelings, and other good things, then it deserves to be appreciated, because to create a piece of music is not easy. And for those who are considering UIC to continue master studies in arts management, I would like to say that UIC is the right choice to study arts management, because here in UIC you have the opportunity to deal directly with the industry, through visits, guest lecturers, and internship which is facilitated by the university. This master is the right choice for those who are fresh graduated, as well as for those who have been working and want to develop their career.